Why Choose the Professional Pilot Program? 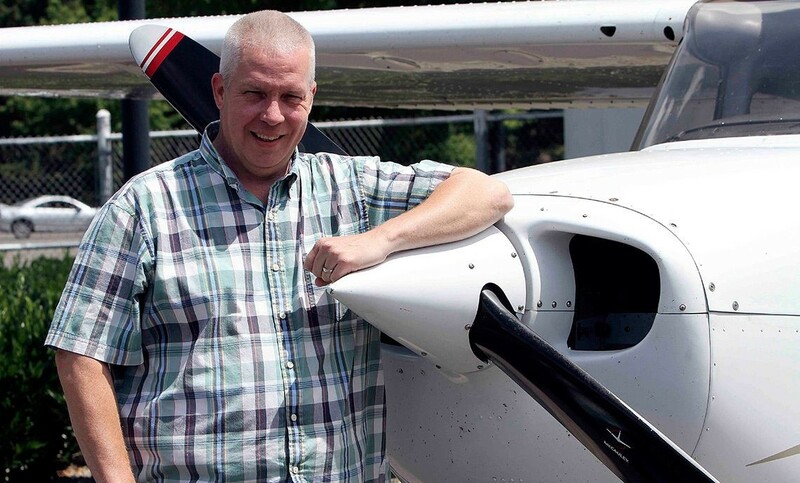 Tremendous opportunities await those who wish to become professional pilots. Pilots have never been in more demand than they are now, and the aviation industry continues to grow. Our Professional Pilot program meets at our state-of-the-art South Hill Campus, conveniently located next door to Pierce County Airport. Students and faculty fly CPTC's college-owned aircraft on local - and occasionally - cross-country flights while having the opportunity to attain all the certifications and flight hours needed for a career as a commercial pilot. The program offers an associate degree and numerous certificate options to meet the needs of each student and their flight goals, whether simply wanting to earn private pilot certification for fun or wanting to pursue a career as a flight instructor or commercial pilot. If you dream of taking to the skies and flying to far off places, the Professional Pilot program and career path may be the perfect fit for you. All those who are interested in the Professional Pilot Program must attend mandatory Program Information Session. Instructor permission is required for registration in the program. The length for degrees and certificates in the pilot program varies, depending on how long the student needs to fulfill the requirements. Conduct appropriate preflight preparation that assesses current and forecast weather, predicted aircraft performance, loading and navigational requirements. Demonstrate the ability to plan cross-country flights in the national airspace system. Demonstrate knowledge of aircraft systems and instruments. Effectively communicate and comply with air traffic control. Demonstrate proficiency in normal, short, and soft field take-offs and landings. Perform minimum controllable airspeed and stall maneuvers. Demonstrate selected ground reference maneuvers. Demonstrate knowledge and proficiency in emergency procedures and operations. Control the aircraft solely by reference to aircraft flight and navigational instruments. Perform and demonstrate proficiency in high-performance commercial pilot maneuvers. Pass appropriate FAA practical test required for pilot certification on the first attempt. Professional Pilot Program Information Sessions are hosted in the lobby of our South Hill Campus at 3 p.m. on the second and fourth Wednesdays of the month. For more information and a complete schedule of session dates, click here. 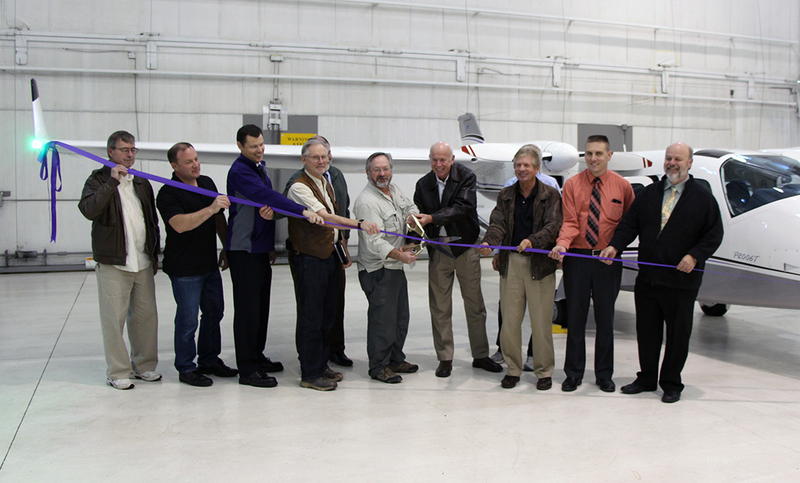 Members of the aviation programs' Advisory Committee and faculty join Clover Park Technical College Board of Trustees chair Bruce Lachney in cutting the ribbon at the official unveiling of CPTC's new twin-engine plane Thursday, Nov. 17, at the South Hill Campus. 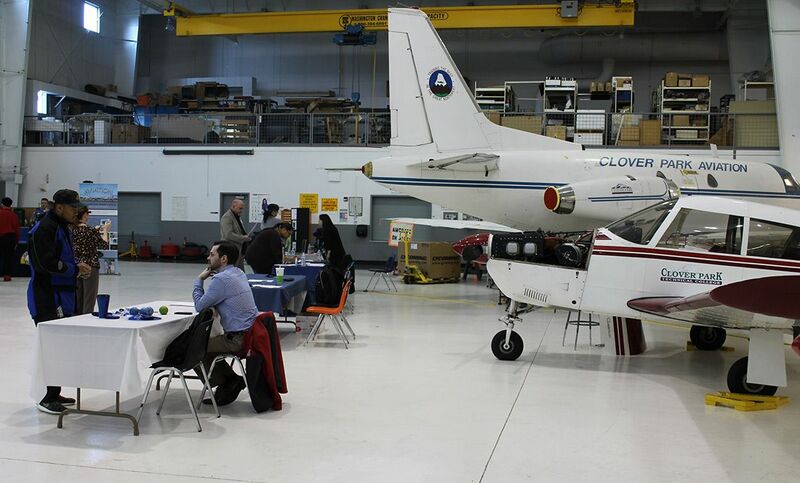 More than 70 students attended the Aviation and Aerospace Technology Career Fair located in a hangar at CPTC's South Hill Campus on Feb. 18. Lee Giles III attended CPTC's Professional Pilot Program in 1998-2000, where he earned his private pilot license and instrument rating.